If you liked this show, you should follow New Awakenings Shop Talk Radio. 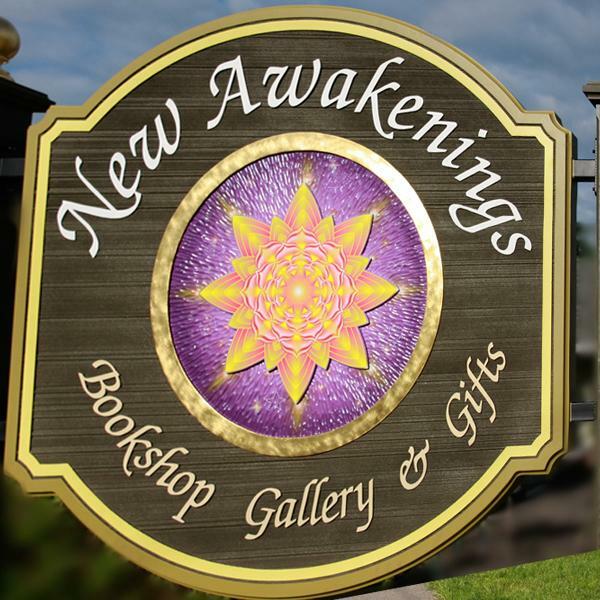 Joshua-John will be at New Awakenings Saturday, May 24 11am - 6pm to help you connect with love ones who have crossed over. Call New Awakenings at 360-687-7817 to schedule an in-person, one-on-one session with Joshua or to schedule a phone session. Rates are $85 per hour. A mediumship reading offers us an opportunity to connect with our loved ones on the other side. They may provide validation via names, dates, and memories only you would know and offer comfort that they are at peace. They provide messages of love while letting you know where they are and what they've been doing on the other side. This show is a revised version of last week's episode so sit back, relax, and enjoy listening in as Joshua-John connects with spirit. Joshua-John, an ancient psychic medium in a young man's body, has brought hundreds of healing messages via large group readings, numerous radio shows, and countless private readings. Mentored and certified through Lisa Williams and Pat Longo, Joshua's belief in authenticity and honesty shines through in his readings as he communicates with your lost loved ones, Angels and Spirit Guides. Joshua appears young on the outside; however, on the inside he is as old as they come. Having overcome personal tragedies that befell him as a young boy, he uses the power and momentum of those sacred lessons as a powerful tool to uplift those around him and to establish a direct connection from his higher self into the spirit world. Spirit chooses to communicate with Joshua through clairsentience (the ability to feel) and clairvoyance (the ability to see) and introduces factual information that helps to heal, guide, and direct you on your life and spiritual journey.